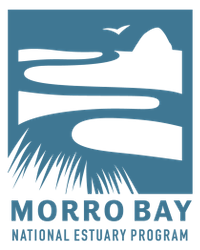 Come join the Morro Bay National Estuary Program for our Morro Bay Science Explorations talk! Title of talk: Wildlife Conservation and Restoration in Our Creeks. Freddy Otte, Biologist, City of San Luis Obispo. Topic: Pacific Lamprey Return to San Luis Obispo. Kate Lundquist, Director of WATER Institute, Occidental Arts & Ecology Center. Topic: The history of beaver in California and the importance of beaver to watershed restoration.